One of the owners of the land where the Kenilworth horse fair was held said the disruption the fair causes has been 'greatly exaggerated'. Last weekend's horse fair was announced as being the last at Thickthorn after an agreement was reached between Warwick District Council and the site's landowners, who have allowed the fair to take place three times a year since 2001. But Simon McDaide, one of the site’s landowners, would not be drawn on the exact nature of the agreement the council and other landowners had made. When asked if he was aware of the disruption caused by the horse fair over the last few years, Mr McDaide said: “The horse fair disruption has been significantly exaggerated. One couple who are particularly pleased the fair is no longer happening are Michael and Sandie Barnwell, who have lived next to the site for eight years. When the horse fair came in July 2017, their windows were smashed allegedly by young people wielding catapults, leading Michael to say that he felt like he and Sandie were ‘under siege’ three times a year. Upon hearing the news that the fair was not coming back, Michael said he was ‘delighted’. 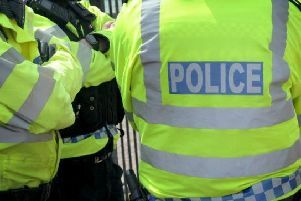 Inspector David Kettle of Warwickshire Police said last weekend's fair passed 'largely without incident', although five criminal damage offences were recorded after the Shell garage in Warwick Road was reportedly smashed up. He said: "Whilst exact numbers are not recorded numbers were noticeably down compared to the April and July fairs this year. Although there was an increase in traffic over the weekend it flowed freely and there was no congestion. "On Saturday afternoon (September 29) there was an incident at the Shell garage on the Warwick Road where youths from the site damaged the front door. "These youths made off and to avoid capture by police running across gardens. In doing so they damaged fence panels or gates. In total five criminal damage offences were recorded. Unfortunately the youths were not apprehended by the police." It is not known if the horse fair will move to another location next year.